Biometric time attendance system used to track each and every person coming to your place is actually who he claims to be or not with its time and other details. 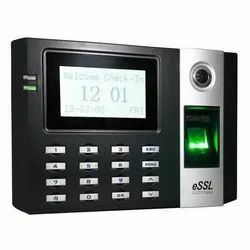 It uses finger, password, RF card, recognition system to verify person’s identity and record its time-in and time-out with all required details. We are one of the most reliable companies in this domain and are into offering Biometric Access Control System. panasonic, godrej, samsung, hi focus, vintron , matrixwatch your place from anywhere through internet & mobile. Banking on the skills of our qualified team of professionals, we are instrumental in offering supreme quality range of Fingerprint Attendance System. 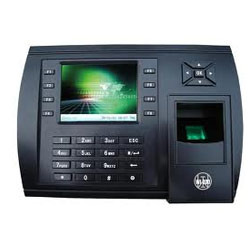 FTA 6161 T Is a standalone fingerprint T&A System, IN and Out status, also low price with good performance, designed specially in the purpose of popularizing the fingerprint products. It could store 1500 fingerprint templates and 50000 transction records.It will bring you much profits because of its low price. FTA 0099 is a standalone fingerprint T & A System, which is low price with good performance, designed specially in the purpose of popularizing the fingerprint products. It is built in Linux operation system and OEM sensor. It could store 1500 fingerprint templates and 50000 transaction records. It will bring you much profit because of its low price.